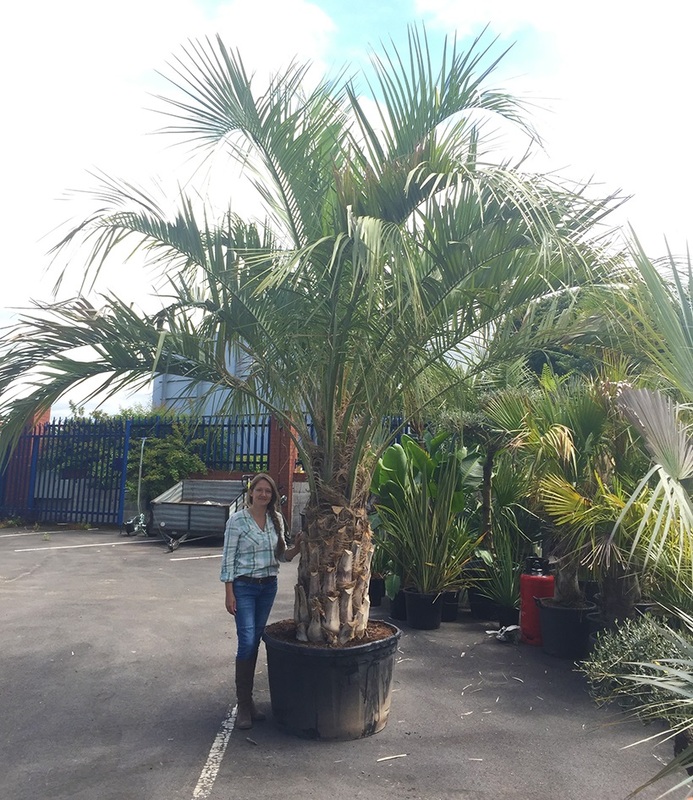 Butia capitata, also known as Jelly Palm or Pindo Palm, is a palm native to Argentina, Brazil and Uruguay. Most palms available are Butia odorata, formerly Butia capitata var odorata. It is an easily identifiable feather palm with pinnate leaves that arch inwards towards a thick stout trunk. One of the hardiest feather palms, tolerating temperatures down to about −10 °C when older. Get in touch for details of transportation for this beauty.